The citizens of Butternut Falls, Minnesota are not happy. The construction of a new PyeMart, a large retail superstore akin to WalMart, threatens the small businesses that inhabit the town and the pristine river that runs adjacent to the site. Despite the undisputed protest by the locals, the city council approves the building permit, and the battle seems all but lost. But someone has other plans. A bomb goes off at the PyeMart offices, killing several employees and coming precariously close to the office of the company's CEO. When a second bomb goes off at the Butternut Falls construction site, it becomes apparent that someone has taken matters into their own hands. Virgil Flowers is enjoying a fishing trip and a few ice cold beers, when he learns of the bombings. His boss, Lucas Davenport of the Bureau of Criminal Apprehension (BCA) informs him of the details, and Flowers is soon on his way to the scene of the crime. A kind of outlaw in the law enforcement field, Virgil defies the typical detective getup, opting instead to keep his blond hair long, and to wear t-shirts, jeans, and boots. His off the cuff personality may ruffle feathers, but he always gets the job done. Upon his arrival to the small town, he realizes that just about any of the local citizens have the motive to stop the superstore from being built. Therefore, Virgil casts a wide net that delves into the not so perfect lives of many of the townspeople. As more bombing continue, he gains the assistance from several of the locals, through an unconventional survey that asks them to name possible suspects. With pressure mounting and no clear direction, Virgil Flowers faces a difficult case that threatens to destroy a small town and all of its inhabitants. Having read and enjoyed the previous four installments in the Virgil Flower series, I was pleased that this one maintains the fun and accessibility of its predecessors. Flowers is easily one of my favorite characters from any of these kind of mystery novels. It was refreshing to see the character tackle a large case that was more than just a straightforward murder. 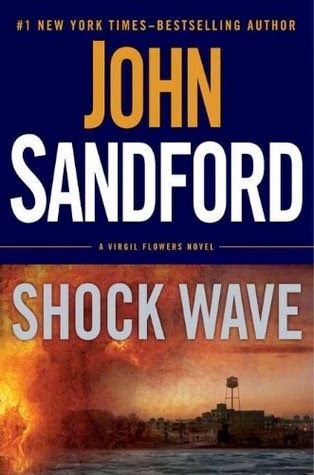 Author John Sandford has a knack for quick pacing, but I felt this novel lagged a bit in the middle. Too often, Virgil had no clear direction in his investigation. Despite this, the character's undeniable charisma helped to keep me invested in the story, enough to make it to the tightly plotted last third of the book. Although there are few shortcomings, this novel is an entertaining read that continues to build upon the strong foundation of the previous installments. I thoroughly enjoyed reading this book, and can't wait to see what happens next.